Avalon Travel Publishing, 9781612382906, 287pp. Journalist Mindy Sink has lived in Denver for more than 15 years, and she shares her insider's perspective on the Mile High City with interested travelers. 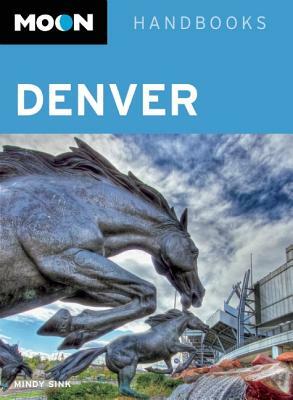 Mindy covers the must-see sights, such as the Colorado State Capitol Building and Confluence Park, and local secrets like the Dikeou Collection, an international contemporary art collection on display to the public in an downtown office building. She also includes unique trip strategies for a variety of travelers, such as "Fun and Cheap in Denver" and a "Beat Generation Tour." With detailed information on restaurants and nightclubs in LoDo and nearby outdoor recreation like kayaking and bouldering, Moon Denver gives travelers the tools they need to create a more personal and memorable experience. Mindy Sink first moved to Denver right after high school, and though she later relocated to another state, she missed Colorado so much that she decided to return. Having experienced the city both as a single and a married woman, Mindy is now seeing Denver with fresh eyes as a parent. While she once roamed the Denver Art Museum for hours, she now makes art with her daughter on family-friendly outings. As a resident for more than a decade, Mindy firmly believes Denver has something for everyone. Mindy wrote about Denver and the greater Rocky Mountain region for The New York Times for more than 10 years. Her work has also appeared in Sunset Magazine, The Christian Science Monitor, and other well-known publications. She is the author of Walking Denver and a co-author of Colorado Organic: Cooking Seasonally, Eating Locally. Mindy lives in the Highlands neighborhood with her husband, Mike, and their daughter, Sophie.